With her passion for scientific experimentation and her pet tarantula Violet, Tess de Sousa is no ordinary orphan. When a stranger shows up at Ackerbee's Home for Lost and Foundlings, claiming to be a distant relative come to adopt her, Tess hopes to find some answers to her mysterious origins. But as she adjusts to her new life at Roedeer Lodge, it becomes clear that Norton F. Cleat knows more about Tess - and the strange device left with her when she was abandoned as a baby - than he's letting on. And when Tess discovers that the Starspinner is the gateway between her world and a parallel world in which war rages, she realizes she may be the key to a terrible plan. A plan she must stop at all costs . . .
Sinead’s first book, THE EYE OF THE NORTH, was a Sunday Times Book of the Week: ‘(it)carries you forward with cliffhanger endings and the quick-witted characters of the defiant children. A poetic, ingeniously constructed tale showing children the familiar while stimulating awareness of others‘ and highly critically acclaimed. 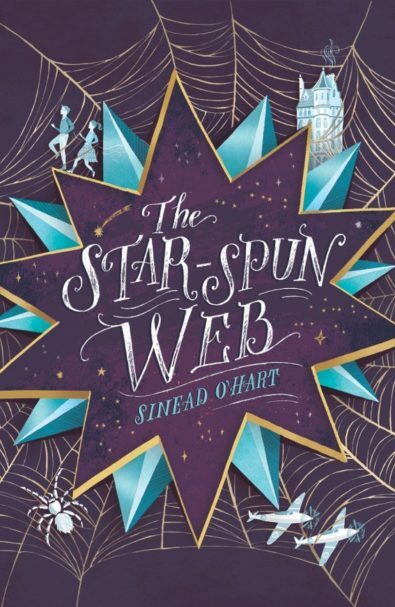 Her second novel, the wonderful STAR-SPUN WEB, was Blackwell’s Book of the Month in February 2019, its publication month. Anybody looking for smashing MG fantasy adventure need look no further. Sinéad O’Hart lives in the Irish midlands with her husband and young child. She has done many things in her life, including working as a butcher and a proofreader (not at the same time, we hope) but could never quite shake the small voice whispering ‘write ‘ in her ear. Following a degree in medieval studies (an experience that has given her a rich seam to mine for inspiration), she finally gave into the voice, something that will delight middle-grade readers everywhere. 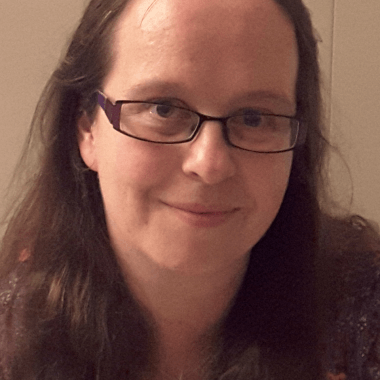 Sinéad quotes Alan Garner’s ELIDOR as a huge influence on her and says that reading it aged eight changed her and made her the writer she is.